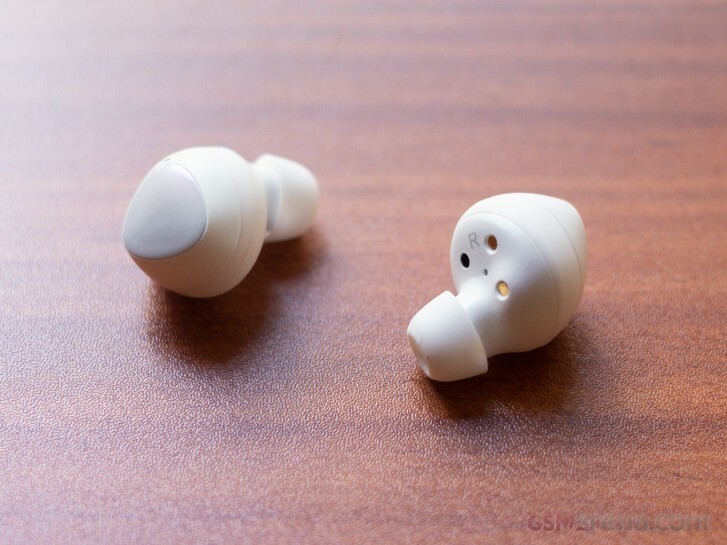 Last month, when Samsung launched its flagship Galaxy S10 smartphone, it also launched the Galaxy Buds, the company's latest truly wireless Bluetooth earbuds. We have been using them for a few weeks now and you can find our review here. The Galaxy Buds aren't the first set of truly wireless earbuds from Samsung, as the company has been making them as far back as 2016 with the original Samsung Gear IconX. However, even though Samsung was one of the first to market, it was really Apple that popularized this style of product. Not to mention, Apple's implementation was also much better in several ways than what the competitors have been doing till that point, which made them an instant success. So now that Samsung has had a few years and a couple of generations of this style of earphones to work with, how does the latest model fair against the AirPods? Note that Apple may already be gearing towards launching a successor, but the current AirPods show no signs of slowing in terms of popularity. So even though these are not necessarily direct competitors in some ways, out of curiosity we decided to compare the two and see which is the better pair of wireless earbuds. I'll start with the case, as the packaging for both of these is fairly minimal. The cases on both the Galaxy Buds and the AirPods largely take the form of their individual speaker units. 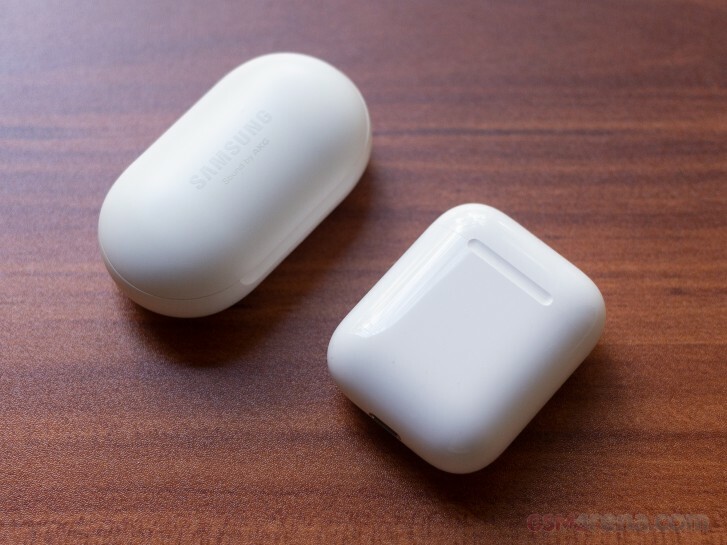 The long vertical stalks of the AirPods necessitates a taller case design while the Galaxy Buds have a transverse design. 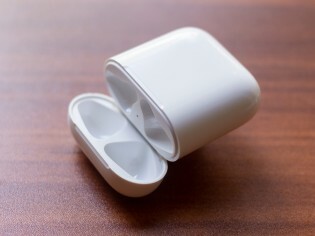 The lid on the AirPods case can be opened singlehanded and it opens and closes with a satisfying feel to the spring-loaded lid. The Galaxy Buds case lid is a two-handed affair and while it snaps shut satisfyingly, the lid moves in a rather janky manner, as if the joints aren't sufficiently lubricated. Inside, the speaker units sit differently. 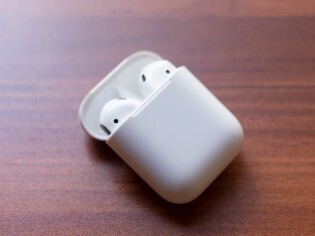 While you can shake the AirPods case till the cows come home and they still won't budge, the Galaxy Buds sit rather loosely within the case and turning them upside down and shaking the case lightly causes them to fall out. Just make sure you don't do this outside. Both cases have a light inside that gives a vague indication of the charging status of the speaker units and of the case itself. The Galaxy Buds case also has a light outside that does the same. The AirPods case also has a pairing mode button on the back. The Galaxy Buds case has no such option. 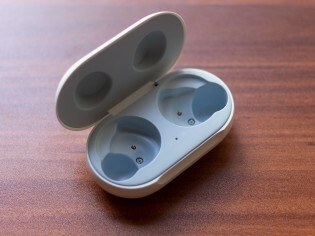 The earphones automatically go into pairing mode when you open the case if they aren't paired to any device. Or you can put them on and press and hold the touchpad on both speaker units for 3 seconds to put them into pairing mode. In terms of size, the AirPods case is definitely the smaller of the two and sits more snugly in your pocket than the Galaxy Buds case. However, neither is particularly large and it's not an issue carrying either of these around. Now, coming to the speaker units themselves, the Galaxy Buds take the lead. 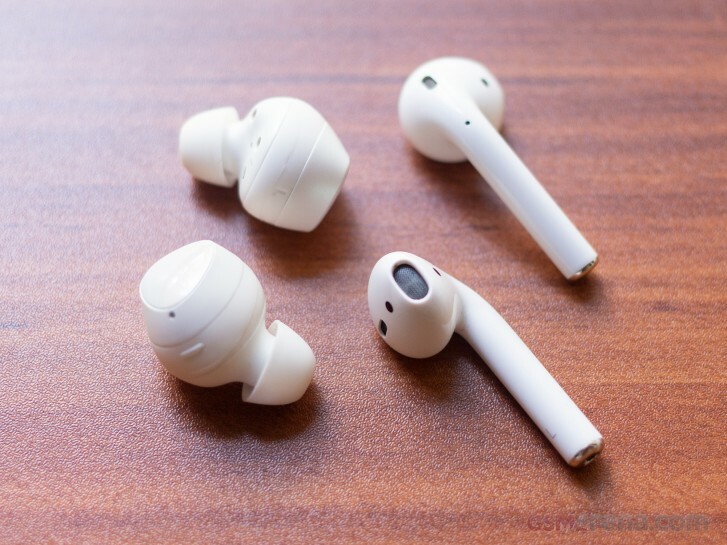 While the AirPods design no longer looks as goofy as it once did and I definitely appreciate the ease of just popping them in or out without adjusting them around in your ears every time, the design is more rudimentary than that of the Galaxy Buds. While not being splash resistant, something both these products share, the Galaxy Buds design is generally more versatile. It has an in-ear style design that goes deeper in your ear canal using silicone ear tips. You get three different sizes of ear tips so it will fit most ears. In comparison, the AirPods have a one size fits all approach, which actually doesn't really fit everyone. You also get a couple pair of small wingtips with the Galaxy Buds, which I suppose are designed to keep them in place during workout but the wings seem smaller than that of most other products. For me, they felt secure even without the wings so I removed them and used the flat tip that is also provided if you don't wish to use the wingtips (as shown in the photos). However, I didn't wear them a lot for workouts outdoors so if you are doing that then I would recommend using the wingtips for peace of mind. The Galaxy Buds are also more unobtrusive and mostly sit within the outer edge of your ears. This makes them look more discreet than the AirPods, if that's something you care about. Also, you can pull your shirt over your head and the collar wont cause these to pop out, as with the AirPods, which need to be removed beforehand. In terms of comfort, I found both to be similar. I am one of those people that the AirPods (and EarPods before that) fit perfectly and I've never had issue with their design. I can even shake my head as violently as I can without passing out and they still won't fall out. 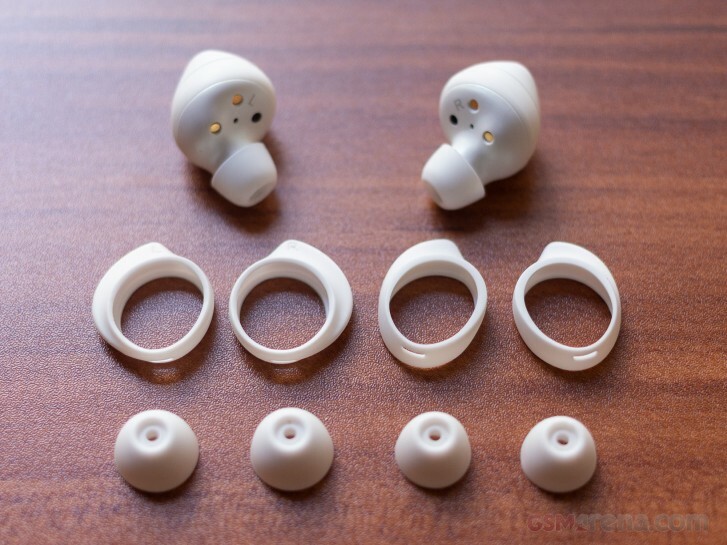 The same goes for the Galaxy Buds, although because they occupy more space inside your ears, I did notice them more when I was wearing them. The AirPods, on the other hand, can be easily forgotten while worn, especially since they block very little of ambient sound. I should mention the provided wingtips with the Galaxy Buds did make them more uncomfortable to wear, which was another reason for me to remove them. Finally, there is one more point in favor of the Galaxy Buds. Samsung sells these in three colors; black, white and yellow. Meanwhile, you can only get the AirPods in Apple's iconic white. While the color has come to be associated with Apple's products, it would still be nice to have other color options. I'm actually surprised Apple doesn't offer the AirPods in matching colors as the iPhone. That would be pretty neat. One of the things that set the AirPods apart when they launched was the phenomenal integration with iOS. Simply open the case and the phone would pop up a dialog to let the two pair. Apple solved years of annoyance of pressing and holding buttons or finding that one NFC spot somewhere with the simple act of opening the lid. Then there were the other niceties, such as the earphones detecting when you put them on or remove them and would automatically play or pause the music. You can also tap on them to invoke Siri or use one of the available shortcuts in Settings. The only thing missing was adjusting volume. Now that Samsung has had a few years to observe all of that, most of it is present on the Galaxy Buds as well. If you have a Galaxy S10, the phone will pop up a dialog when you open the case. BUT, and this is a big BUT, you need the Samsung SmartThings app to make this happen, and that app requires a Samsung account to work. You will also need the Samsung Wearables app to control all the features that the Galaxy Buds offer. While it makes sense to have the app as it can be installed on any other Android phone, it would have made more sense for Samsung's own phones to have all the functionality built-in, as is the case with AirPods and iOS devices. The Galaxy Wearables app is reasonably well designed and lets you adjust a few things, such as EQ presets (no custom EQ, however), sending app notification to the speakers, the Ambient sound feature and Find My Earbuds. You can also update the software of the earphones from the app. The app also lets you adjust the touchpads placed on both speaker units. You can choose what a long press does from starting voice command, enabling quick ambient sound or either volume up or down. This can be done on a per speaker basis. However, if you choose volume down for one, the other speaker will automatically become volume up. The quick ambient sound works a bit differently than just permanently turning it on from the settings. Here, instead of mixing outside sound in with the music, it will instead turn down the music and let outside sound play, similar to that on the Sony 1000X series. Unfortunately, the touchpad is terrible. The number of times you will press it while simply inserting the earbuds in your ears is basically same as the number of times you insert them in your ears because it happens every single time. The touchpad is turned off when you are not wearing them but is activated as soon as they make contact with skin (the Galaxy Buds have capacitive sensors instead of optical sensors on the AirPods). Also, the double and triple tap gestures rarely work accurately, especially triple tap, which has a one in a million chance of working as intended. What I ended up doing is just switching off the touchpads from the Wearables app and forgot they even exist, which is the ideal way to go about it. First, let's talk about the sound quality. To be honest, both are fairly mediocre sounding pair of earbuds for different reasons and which one you like will depend upon your preference. The AirPods have a warmer, darker sound. This means there is a fair bit of emphasis on the mid-bass but not a lot on the highs. There is not much of deep bass here but the fat mid-bass, which is where most of the bass in music sits anyway, makes it hard to notice this. Voices have a smooth, mellow tone to them. There is some peaking around upper mid-range but it's not too bad. The highs are less aggressive and more veiled. The sound overall is not very detailed and can be a bit muddy at times. However, it does work fairly well across most genres and especially well for stuff like podcasts, audiobooks and YouTube videos. The Galaxy Buds have a more mid-forward sound along with a rather hot high-end. They don't have that weighty mid-bass of the AirPods and sound rather thin and hollow at the lower end. The mid-range, however, is very aggressive, especially the higher mids, which almost have a nasal quality. This, coupled with a severely bright high-end means the sound is very aggressive and loud, and can be very fatiguing with some genres and recordings. It just feels all over the place and very unbalanced at times, with certain voices and instruments being very forward and upsetting the balance of the sound. Depending upon the song, these can sound decent to rather unpleasant. They don't even work well for podcasts and such as the voices sound very thin and hollow, especially male ones, while female ones sound more sibilant. If I had to pick one here, I'd go with the AirPods. The Galaxy Buds sound has more detail but the AirPods sound is more versatile and less genre dependent. It's also less fatiguing to listen to over longer periods and I also feel the AirPods sound signature will be preferred by more people than the Galaxy Buds'. Again, neither is great and if you want good audio quality then maybe look at something like the Bose SoundSport Free. Another area of victory for AirPods is just the quality of the connection. The AirPods maintain a rock solid connection, making you completely forget you have two distinct speakers working wirelessly. The Galaxy Buds, on the other hand, were constantly glitching, with the speakers momentarily dropping sound or just sputtering every now and then. The issue was not between the phone and the speakers but rather between the speakers themselves. Samsung eventually issued a software update that reduced the frequency of the glitching but you still get it every now and then. Where the Galaxy Buds lead is in sound isolation. Despite not having any active noise isolation, I was shocked by just how much these can drown out the surrounding. It is genuinely difficult and often impossible to hear people speaking directly to you unless you not just pause what you are listening to but also pull these out of your ears. This is where the quick ambient mode would have come in handy, if only the touchpad wasn't so terrible. Both have acceptable latency, which makes them usable for watching videos or playing casual games. When it comes to call quality, both were equally bad. In all fairness, this has more to do with the outdated audio codec used by Bluetooth accessories for voice calls, which turns your voice to a garbled mess. As such, there are no winners in this test. Battery life is always a concern with Bluetooth earphones, more so with truly wireless ones. However, both Apple and Samsung do a decent job here. 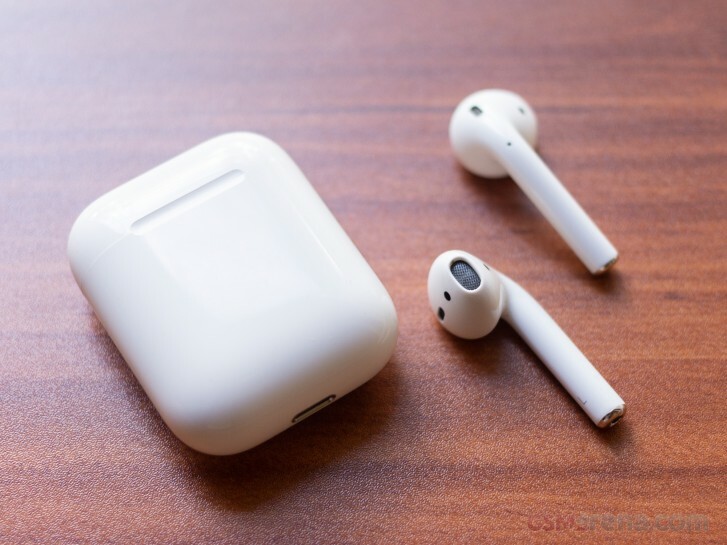 The AirPods can last over five hours with a single charge just on the battery inside the speakers themselves. Combined with the battery inside the case, you can get about 24 hours of battery life. 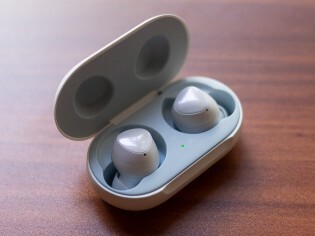 The Galaxy Buds meanwhile last about seven hours on a single charge and the case can charge them two more times for about 21-22 hours of total usage. 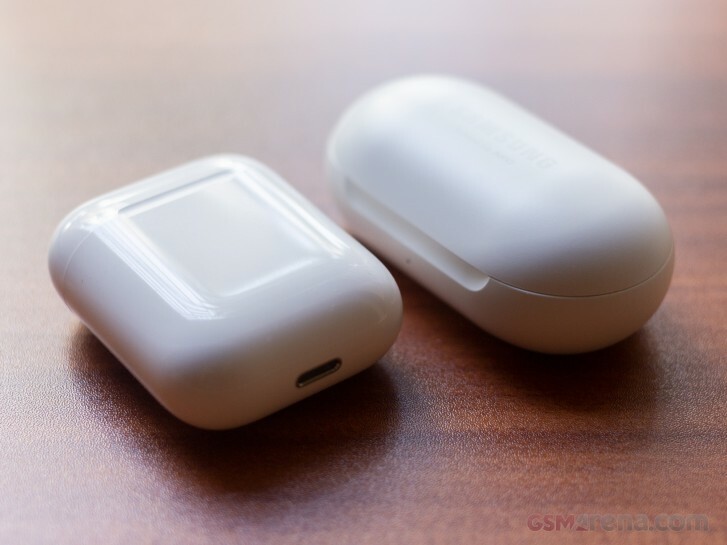 This means while the AirPods do give more life overall, the Galaxy Buds do last longer per charge before putting them back in the case for charging. 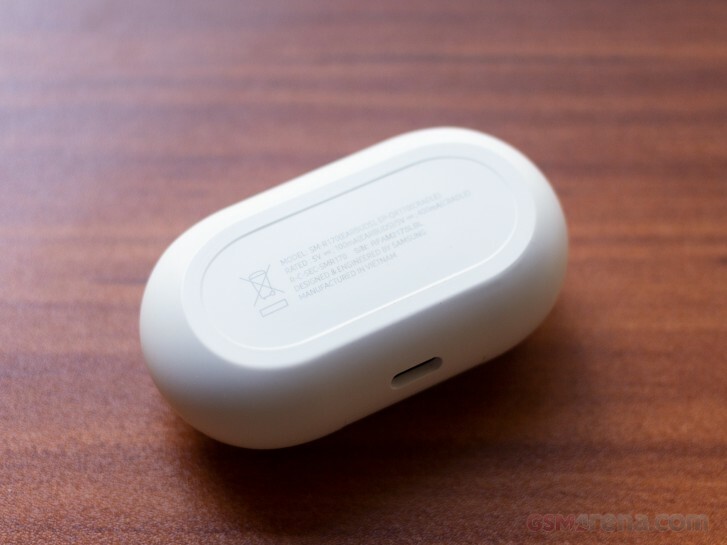 The AirPods case takes about an hour to fully charge from flat with the AirPods in. The Galaxy Buds case takes about two and a half hours to do the same. The Galaxy Buds case does have a unique feature, wherein the case features Qi wireless charging. With that you can actually charge them from the back of the Galaxy S10 using reverse wireless charging or any other Qi charger. I did not really test the speed of this feature as even the normal wired charging took a while. I know it's cool and even Apple was working on it at one point with AirPower but I don't see it getting a lot of use unless you have multiple wireless charging pads lying around for your phone and your earphones. I especially don't see anyone charging from the back of their S10 as that's both time consuming and inefficient, not to mention makes your phone useless if you keep it face down. When it comes to reporting battery, the AirPods can display the individual battery power of the left and right speakers as well as the case in the iOS battery widget. The Galaxy Buds will show total battery of the left and right speakers combined in the Android settings or individually in the Wearables app. However, there is no way to see the battery life of the case. On iOS, the Galaxy Buds will again just show the average battery life of both the earbuds as one number. I mentioned at the beginning that the AirPods and the Galaxy Buds aren't necessarily direct competitors. That's because while the Galaxy Buds do work with iOS, you don't get the Galaxy Wearables app that is required for things like updating the firmware or disabling the touchpad. As for AirPods, while they too technically work with Android, most of their cool features are disabled and they turn into really dumb earphones. This comparison was mostly just for the sake of curiosity, to see which company makes the better pair of truly wirless earphones. And I have to say, it's still Apple. The AirPods have tremendous room to improve. The design can be more inclusive of different ear types. They could be sweat resistant. The sound could be a lot better and the battery could last longer. But Apple also gets so many things right, from the quick pairing process, the simple but reliable gestures and just the simplicity and reliability of the whole experience. The AirPods, in many ways, are the epitome of an Apple product; simple yet thoughtful design that focuses on getting the core experience right. Samsung, on the other hand, tries to do a lot of what Apple is doing but none of it feels as well executed, and other features like the touchpad are just bad. The sound is also mediocre, perhaps more so than that of the AirPods and it isn't even particularly reliable in terms of connectivity. The battery life is also not too different and the wireless charging feature isn't very useful. Still, Samsung got quite close here with the Galaxy Buds but the company needs to focus more on getting the basics right first before implementing the gimmicks. So while we are now waiting for the second generation AirPods to arrive, somehow the original is still the best truly wireless pair of earbuds out there.